As the centerpiece of the three holes appropriately nicknamed “Amen Corner”, Hole # 12 has for many years been the turning point of championship hopes for Masters participants. Bobby Jones’s description of the lurking challenges for the players are far from the mind of the beholders of the beauty of this setting. 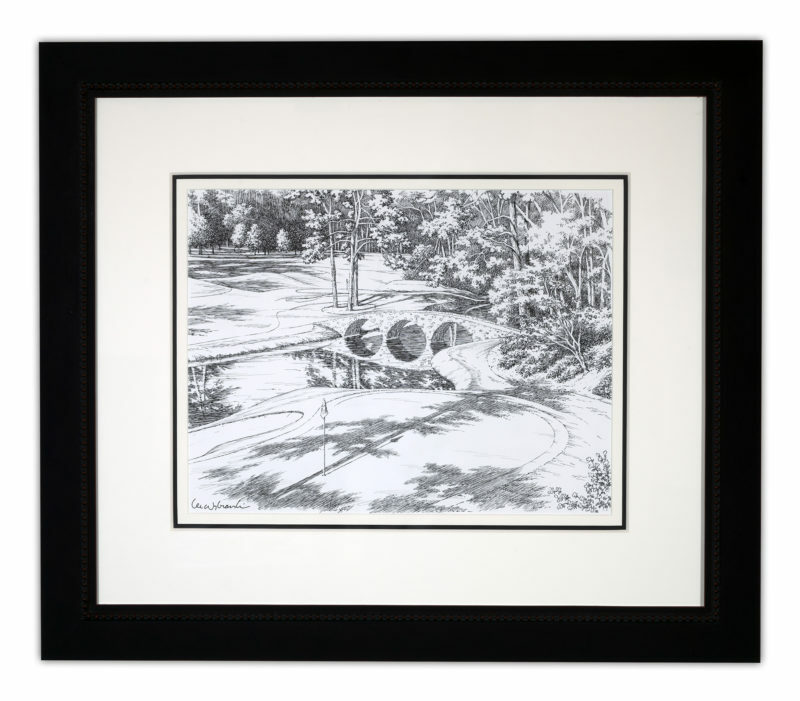 Lee Wybranski uniquely captures the tranquil majesty of the 12th Green in this Pen & Ink style sketch.